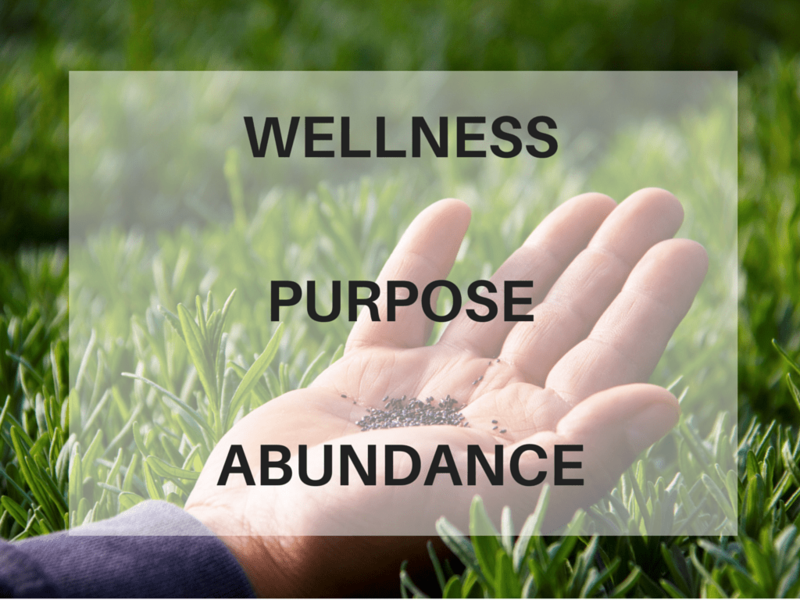 You are here: Home / Prosperity / Why Don’t I Feel Worthy or Deserving of Success? 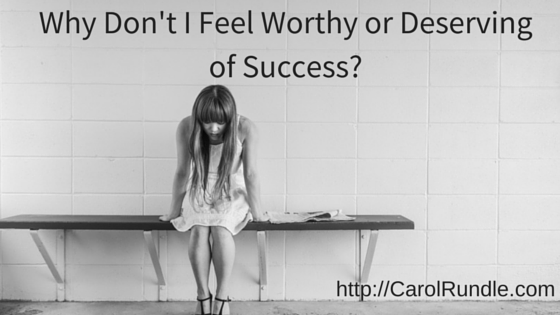 Why Don’t I Feel Worthy or Deserving of Success? Knowing what you want to be and being it are sometimes miles apart. Especially when you’re a person of faith. You know that 3 John 2 says that God wants you to prosper. So then, why do so many people thrill in telling you that God doesn’t want you to be successful? That true Christ-followers should be lowly doormats barely making enough to scrape by on? I’m not worthy because of something in my past. I don’t deserve prosperity because of who I am at the core. I feel defective and don’t feel deserving. I don’t think I’ve ever felt worthy. I haven’t done enough and I know I’m not enough so I can’t be one of those who deserves success. I’ve never felt deserving, so why bother trying. I don’t think I’m worthy. I can’t succeed because I was never taught that I could be successful. I can’t be successful in business because God’s people aren’t supposed to be successful. I can’t win in business because I’ve made so many stupid mistakes. No one wants to work with me. If people knew who I really am they might not like me. I won’t know how to help people in the business. Wow, isn’t it awful to live in that place in your head? But so many do. I’d like to give you some thoughts to replace the ones above. I love changing my limiting beliefs. I appreciate who I am in Christ now. I love realizing Christ has made me deserving of success and abundance. I choose to believe I am worthy in Christ. I enjoy feeling so deserving and worthy of success in my business. I am so relieved to know I am deserving. I am so relieved that I am worthy enough to deserve success. I am so grateful for my new-found belief in prosperity. I choose to love, honor and forgive (insert person’s name). I choose to create a successful network marketing (or other type of) business. Even though (insert person’s name) sent me mixed messages about success I choose to be successful. God has given me the victory in Christ Jesus. I choose to live in that victory. I choose to believe who I am in Christ. I am successful in my chosen business. There are many ways to change your thought patterns (prayer, Emotional Freedom Technique/tapping, speaking the above affirmations over yourself, meditate on the positive affirmations, etc.) but one thing is clear, our thought life is absolutely manifested in our physical life. Changing your thoughts (the Bible calls it tearing down strongholds) may not happen overnight, but with some effort you can do it. Soon, you’ll no longer be asking yourself, “Why don’t I feel worthy or deserving of success?” You’ll be manifesting success! What are some ways you change your thought patterns? The Greek definition of the word ‘Saved” (Sozo) is Saved, Healed, Delivered, Blessed, Set Apart, Prospered, Protected, Made Whole. If we are not believing that as Christians then we are denying what Jesus accomplished on the cross (or not fully understanding what Jesus accomplished). It is finished. It is done. We are asked to believe. Once we believe these are ours then we will live them out and experience them. Our actions will follow our beliefs. Amen, Barbara! Thanks for your input! Once I understood that 98% of everything we think and feel and the judgements we have are not even ours, I understood how caught up in other people’s stuff we humans often are. It’s a vicious cycle, as from a young age we start believing things about ourselves, that we make into stories and start living our lives as if the stories are true. In reality, once we learn to stand back and objectively observe what is actually “so” we can let go of the drama and the stories and live from the facts. It isn’t always easy, as often people have invested a lot of time and energy in perpetuating their story, even if it isn’t true. It takes an open willingness to want to change and to let go of the past and create a new life with a fresh perspective. This is a message that we all need to keep hearing, Carol, so thanks for sharing such an important post! I’m glad it resonated with you, Beverly! Everything you said is so true, it’s time to separate our real selves from the stories we’ve bought into about ourselves. Try telling someone they made up a story about x. That doesn’t work, but more than not, people are exploring their own limiting beliefs and transforming them. Fortunately I have many years ago and life is so much cleaner. Usually people have to come to their own realization about why things aren’t working in their lives. The best we can do is support them. I’ve heard a lot of great stuff about emotional freedom technique. That’s a good tool to have in your kit Carol. Good job with those replacement belief statements. It’s no good us simply denying our current belief system or admonishing ourselves for our own feelings of inadequacies. We have to change the way we think and feel about ourselves if we want change. You’re right, Clive, denying that things exist doesn’t work. We need to replace negative beliefs. Thanks Carol, it is always so important to believe in oneself and feel worthy, even though not always that easy to do. You’re right, Katarina, it’s not easy, but it’s so important to living a fulfilling life. Sweet post! These lessons I have learned the hard way over time by taking to wrong path sometimes that God did not lead me down. Keeping an open heart for Him and not listening to others helps to keep me on the right path. Yes, Leslie, it’s critical to follow God’s guidance in these matters. It’s amazing how much of an effect what we watch and hear has on us. I guess that’s why the Bible encourages us to be very careful in those areas! You are so spot on with this! I’ve been there before and it took real effort and hard work to unlearn those bad thoughts and negative thinking patters. Not feeling worthy or “good enough” was a common theme for a good part of my life. I think it’s much more common than we know because we’ve been taught to put on a brave face. That’s why I wrote this post, to help others dealing with it. Wow, Kristen, I’m so sorry that your personal life is so rough right now. But at least you can concentrate on your rocking business! I think it’s human nature to go the negative route (that’s why so many people do it!). It takes strength to rise above it. One way to change negative thoughts into positive is to ask yourself, “What can I create from this?” There are always things you can do to maximize and focus your energy.